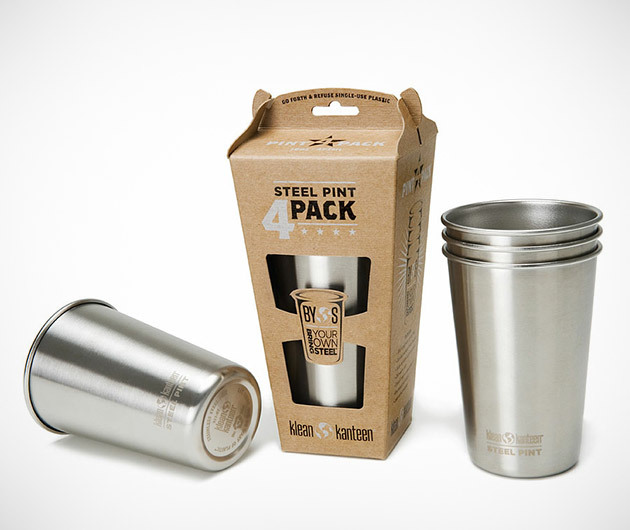 Klean Kanteen Stainless Steel Pint Cups can be used over and over to quench your thirst. Landfill sites are rapidly filling up with disposable plastic cups that are used once and then thrown away. End this senseless waste by using Klean Kanteen Stainless Steel Pint Cups, which are durable, reusable and easy to clean.